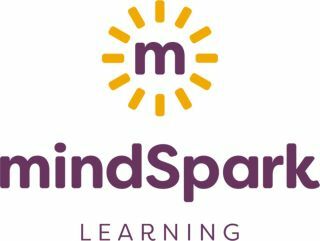 mindSpark Learning, a Denver-based national nonprofit dedicated to empowering educators with industry-oriented professional learning experiences, has launched an interactive social platform for educators called ignite. In partnership with learning management system (LMS) leader Wisetail, mindSpark Learning created an interactive platform for educators that will transform the ways in which they communicate and access professional learning content. ignite marks one of Wisetail's first externally-facing LMS for the education industry. Educators, regardless of whether they've participated in a mindSpark Learning professional learning program, can create an account and access both free and premium proprietary professional learning content, mindSpark Learning videos and webinars, and connect with other educators across the country to discuss classroom ideas and professional learning projects. "ignite signifies a long-overdue digital transformation in the way teachers connect, learn, and communicate," said mindSpark Learning CEO Kellie Lauth. "With Wisetail, we're driving innovation to better reach teachers across the nation, making mindSpark Learning's industry-oriented professional learning content more accessible while offering a solid social network for educators and their colleagues." "Our partnership with mindSpark Learning exemplifies how, together, we're changing the culture of engagement," added Wisetail president, Ali Knapp. "ignite is revolutionizing the ways educators can work together with mindSpark Learning and within the education space, offering an exciting, new interactive experience for users." For more information on ignite, visit https://ignitehubmsl.org/.